We’ve always worked hard to give a desktop like experience using our web interface without the need to (constantly) download an app. Most users keep twitter app running all the time. However, it takes up much of the screen space and restricts you from working. One way to solve it is for the app to display notifications. In our case (web interface), the notification can be shown in the browser area and hence requires the browser to occupy much of your screen area all the time. In the last beta, we added OS X Growl style notifications for replies from non-friends on the main timeline. This time, we go a step further. We show you notifications on your desktop without having the browser open; thus saving you all of screen area and allowing you to concentrate on your work much better! Here are three awesome ways to get more out of Filttr. Fluid is a cocoa app (exclusive to OSX Leopard) by Todd Ditchendorf which allows one to create SSB (site specific browsers). When launched, Fluid displays a little tiny window where you specify the URL of a WebApp you’d like to run in a Site Specific Browser. Provide an application name, specify a Location and an Icon, click ‘Create’ and you’ll be prompted to launch the new native Mac app you’ve just created. When you get a new tweet, a growl notification is shown. This provides a true count of total number of unread tweets across all windows/tabs regardless of no. of aliases open! When Abhimanyu Raja released Yip, a Firefox addon (extension), we @Filttr finally found a way to support desktop notifications on all major OS’s. It works just fine with OSX, Linux and even windows. Although OSX users are treated with growl, notifications on Linux and Windows aren’t as pretty. However, Ubuntu (a famous Linux distro) has shown much interest to support Yip and we are expected to get . One of our developers is also working on adding support for Growl on Windows. *NEW* Swaroop Hegde has contributed code into Yip to support Growl for Windows. Growler is a plug-in for Safari by Aditya Mukherjee, who also co-founded Filttr! It’s only supported for OSX but the source code is open and hence we expect someone to release a windows version soon. Once installed, you’ll receive growl notifications for incoming tweets. Note: V1 is no longer supported. We allow customization of all three. You can find the link under “Customize” or on the sidebar on any settings page. You can also toggle notifications Let us know what you think? We’ve ditched support for Internet Explorer. Why? We’ll reserve our comments to avoid a debate. Solution? 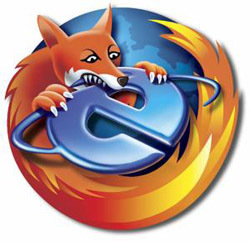 Firefox, a browser supported on all major operating systems – Filttr works best on it. Oh, we love Safari and Chrome too! Do you use facebook? Don’t you wish you could post select twitter updates as facebook statuses? Inspired by Selective Status (facebook app), Filttr now has a nifty facebook integration to allow posting specific/all updates to Facebook. Unlike existing facebook apps, we allow protected users to post their statuses as well! You may also temporarily disable the feature; such as when live tweeting an event. We do not post @replies and Direct Messages. If you don’t want to show hashtags on facebook statuses, select the “strip hashtags” option. Note: You MUST remove Twitter’s official facebook (or others such as Selective Status) integration to avoid double posting. It’s been a very very long time since we updated everybody on what’s been happening. We have had a hard couple of months, with Twitter’s API goof ups and the whole ballyhoo with oAuth. But on the other side of all that, we have a lot of good news, and some not so good news. Let’s start with the good ones first. It’s hard to be on Twitter for a day without hearing about oAuth at least once. After all, it is being touted as the messiah to solve all user security issues related to Twitter. Although the release into beta, and then going public has been very haphazard. Some people have it, some people don’t. The ones who don’t, think they do because they hear it from the ones who do. The ones who do, have problems with it because it is still in beta. While that jumble goes on, the API consumers (read: apps and services like us), have had to deal with figuring out which problems were due to Twitter, and which bugs were at our end. Multiple points of failure always make things very hard. But, we’re glad to say that we’ve managed to implement a fairly robust authentication system based on Twitter’s oAuth, and plugged in the holes that we could in Twitter’s API (at our end). The result is the rebirth of Filttr’s authentication system. We now have Filttr credentials. You no longer need to use your Twitter credentials. All you have to do, is signup with Filttr – that is, create a new account with a username and password (which is not your Twitter username and password) – and using oAuth, link your Filttr account to your Twitter account. You’re done! In fact, we went a step ahead to make it easier for everyone. You don’t even need to have a Filttr account to use Filttr. We have a special ‘Quick signup’ for all you finicky folk who just want to see what the fuss is about. Understandably, this experience is severely crippled because we cannot store any settings for temporary users. Which means if you use the quick signup to use Filttr, you will not have access to Keyword blacklist/whitelist, Aliases, our infamous instant messenger bot or mobile interface, and other things that we’re known for. Not to mention, you will have to go to Twitter everytime, to give us access to your data via. oAuth. In case you don’t want to fill a four field form, we also support OpenID. Just use your OpenID provider’s URL, and we’ll take care of the rest. Now you can sign in to Filttr, the way you want to! We think having an account is just so much cooler. You get access to all our interfaces using just one set of credentials. You’ll get the whole Filttr goodness in all its glory. Dare we say you will never have to sign in to Twitter again! 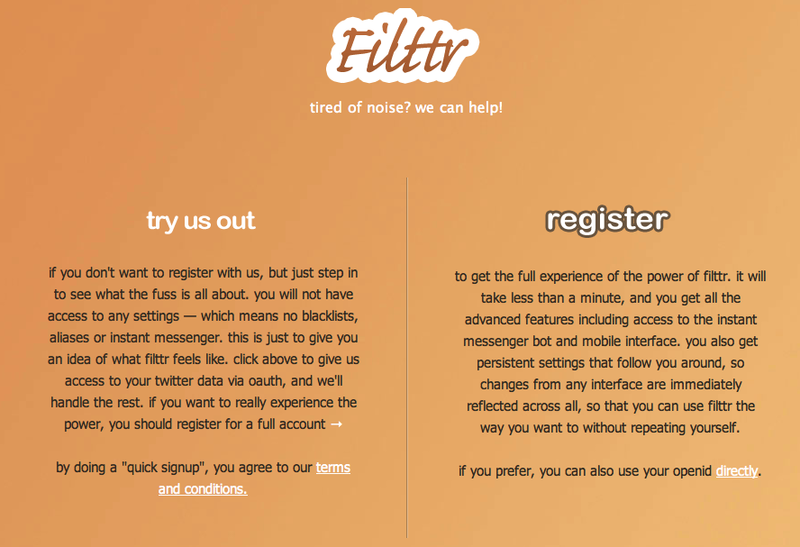 If you’ve already been using Filttr, just sign up, and we’ll port all your data over to your new Filttr account. Easy as pie. We never get tired of adding new things, or improving old ones. Doing a feature by feature comparison of what Filttr has to offer to the general Twitter user, we can confidently say that Filttr’s web interface is the best there is today. And it becomes better every day. Just ask our users. We completely revamped our mobile interface some weeks ago. We began dropping support for older WAP based mobile browsers in favour of better and powerful smartphone browsers. This gives us way more leg room to move about than the WAP browsers would have. Mobile browsers are all upping their game thanks to competition from iPhone Safari, and we’ve decided that this is the place to be. We added threaded replies, just like what you’ve become used to on the main web interface. We added Aliases, ability to search, ability to see older tweets and did a complete visual overhaul. It looks and feels much cleaner now. The layout should suit all phones, whether you use it in landscape or portrait mode. So if you’re on the move, give Filttr Mobile a try. It’s the most usable mobile interface for Twitter there is. As far as the main web interface goes, our biggest addition was OS X Growl style notifications for replies from non-friends. We realised that having multiple tabs open might not be okay with some people. And of course, we don’t want to miss replies to ourselves. So we decided to bring the unobtrusiveness of Growl notifications to the web. You can toggle a button if you want to see replies from people you’re not following, right on your main timeline. You can reply by clicking the reply button in the notification. It’s really useful when you get the hang of it. 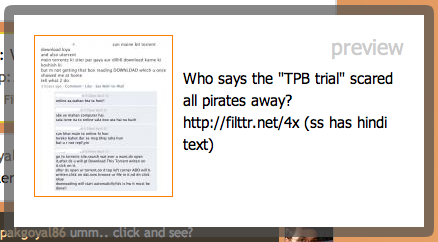 Making Filttr play better with other sites and media (apart from text), we now have image previews! Currently we support Filttr Gallery pictures and TwitPic — the most popular way to share pictures on Twitter. You don’t need to click away to another site to see what the picture in conversation is all about. Any Filttr.net picture or TwitPic link will first show you a small preview, and if you want to see the bigger picture, clicking the thumbnail will take you to the original page. This will save you time, and bandwidth — plus, the tweets will continue to flow without interruption. We also added the ability to change the behaviour of virtually any part of Filttr. Right from disabling keyboard shortcuts to opening links in new windows. What’s even more awesome is that these settings are persistent. 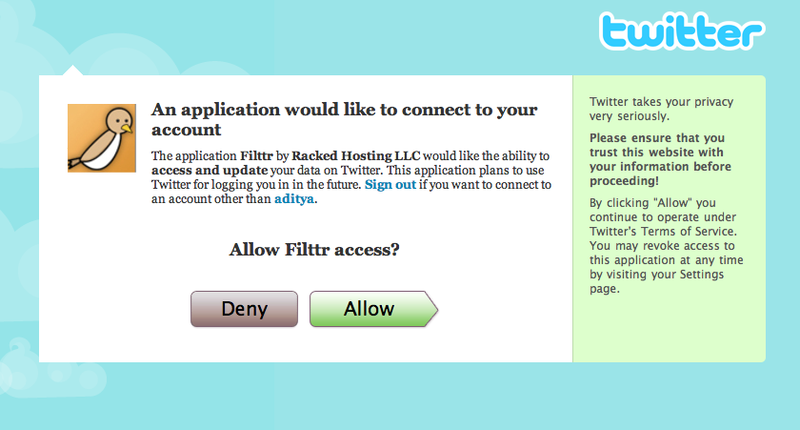 So it doesn’t matter which interface you’re using to access Filttr and read your tweets. Whatever was your preference for the main interface, will be reflected in your mobile interface as well. How’s that for convenience? Filttr can do this because we’re more than just one app. We’re a collection of apps, and hence a service. We believe it’ll become clearer to the people why Filttr is so much better as time goes on. For our more technically sound folks, a geekier changelog is here. We’re lagging behind on our desktop application. It’s taking longer than we expected because we want it to be absolutely awesome right from the first day. Bringing it into this world when its siblings – the web and mobile interface – have such amazing reputations, is not easy. Then of course, is the competition with other applications out there. We just want you, the user, to have the easiest, best, and funnest experience that we as programmers and designers can give to you. We hope you understand. So, this has been a long chit-chat. You can see that we keep busy making sure everything runs smoothly for you. But we miss things too, and love to hear from you when you have an idea for us. Our Uservoice page is still up in full swing, so drop by if you have something for us. We’re still @SwaroopH, @aditya and @filttr on Twitter, so you can always reach us there. Happy Star Wars Day, and thanks for using Filttr. May the 4th be with you!